We all love food, especially fast food. We see a beautiful and appealing image of fast food on the billboards as we drive and it instantly drool over it. Representation of fast food via advertisement is hugely beneficial to media industry. There are so many fast food brands nowadays, although they may not be popular as the top fast food brands are, they still are using various forms of media for advertising which in turn helps media a lot. 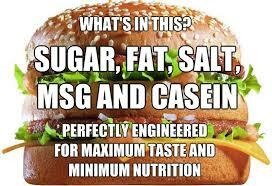 Fast food appear healthy, but they are filled with ingredients which cause harm to us. However, the content media promotes about these fast food products is not entirely true. Media often exaggerates or portrays these products as healthy and effective which in reality are not. The best example for this is “Diet Coke” or “Diet Pepsi” which often is a complementary dish with the main product. These diet products are not healthy although they imply “diet”. Many times we see that a certain food type is natural, but instead these food products are loaded with preservatives to display the natural state. Salads served in McDonalds, KFC, Pizza Hit etc. are advertised as healthy are in reality are unhealthy. Various researchers have found that these salads are not of standard ingredients and various other unhealthy ingredients are being used to bring the lustrous looks and delicious taste in the salads. French fries are served in almost every fast food branches but these French fries are cooked in Trans fatty acids based oils which cause health problems in individuals to have them frequently. Most of the important and essential content about having fast food is not portrayed or mentioned in any ads through media which makes people unaware on the negative factors and people believe that having fast foods and/or foods containing preservatives are healthy. 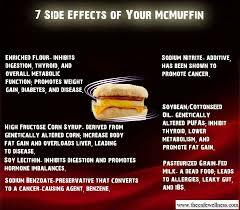 Recently McDonalds launched the McDiet program to promote healthy diet which in reality after investigation has proven to be a lie and the products in McDiet are prepared in the same manner as the usual products are prepared. This causes a huge impact to people as they think that McDonalds is doing good for the society whereas in reality it is not. Low fat food as portrayed in media is not essentially healthy, and it contains huge amounts of sugar to make it taste delicious. Many times we see 0 cholesterol in snacks and think that the particular food product is good for us. However, that is not really true. In order to achieve that state many harmful preservatives, flavorings and sugar are used. This content of preparing low fat food, diet food and salads which contain excess essence and fast food is not covered by media and often not revealed to the public. We also see media’s influence in how they present people who consume these products different from those who don’t consume these products. When a commodity is being sold, it is essential that we need to be informed of how it affects us and media must take responsibility in doing so. This image shows the type of content media often doesn’t let the audience know since it shows the harmful effects of consuming this food product. Media must take responsibility to let the audience know about the type to food they are consuming, its positive factors and its negative factors and make them aware of health effects should they continue consuming these food products. Media must not differentiate people based on who consumes there food products and who doesn’t because this divides the society and also hides the truth about these companies.